Easy-to-clean vinyl upholstery is ideal for medical and education settings. 18" five-star base and casters offer support and mobility. Pneumatic lift adapts to different work heights. 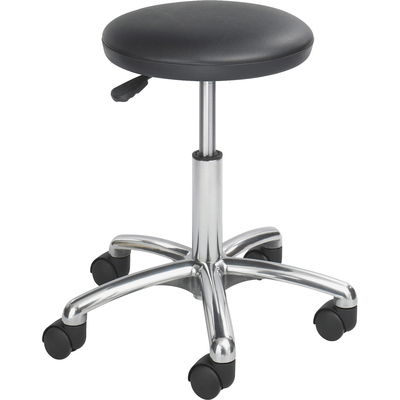 Easy-to-clean vinyl upholstered stool is ideal for medical and educational settings. Pneumatic lift adapts to different work surface heights. 18 " five-star base and casters offer support and mobility.